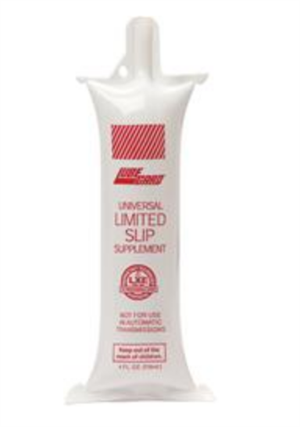 LubeGard Limited Slip Supplement - 4 Oz Tube - Great For Differentials ! reduces differential temperatures, extends clutch pack equipment life, inhibits rust and corrosion, and is safe for yellow metals. Specifically formulated for the clutches in limited slip differentials. Limited slip differentials depend on the operation of pre-loaded clutch packs on each axle shaft. Gear oils made for standard differentials do not contain the additives that make these clutches work. LUBEGARD® Limited-Slip Supplement contains LXE, a unique advanced friction modifier to eliminate chatter. It also contains rust and corrosion inhibitors to protect bearing and gear surfaces. The LXE acts as an enhanced heat transfer component to pull heat out of the gear box and clutches more quickly for cooler running units. Directions For Use: Put entire contents of the bottle (4 fl. oz) into the differential.